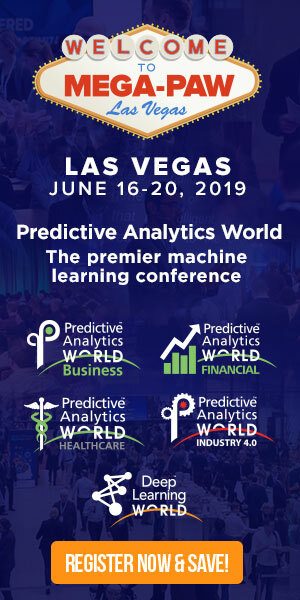 In anticipation of his upcoming Predictive Analytics World for Workforce conference presentation, Changing Talent Management through Predictive Analytics, we interviewed Kevin Zhan, Workforce Analytics Practice Leader at The Advisory Board. 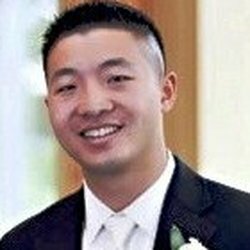 View the Q-and-A below to see how Kevin Zhan has incorporated predictive analytics into the workforce of The Advisory Board. Also, glimpse what’s in store for the new PAW Workforce conference, May 14-18, 2017. Q: How is a specific line of business / business unit using your predictive decisions? How is your product deployed into operations? 1) Helping business lines prioritize their employee investments – Every division in our company is using our predictive attrition models to better understand and anticipate which employees may be retention risks. In a world with limited resources and time, it is critically important that we develop a systematic way to help HR Business Partners (HRBPs) and line managers better prioritize which employees they should have retention conversations with. HRBPs have been using our models in conjunction with their own invaluable human intuition to prioritize conversations with staff. 2) Building a more effective benefits package through Predictive Benefit Elections (this is in the last stage of being operationalized) – We’ve developed a methodology to predict what future benefit selections will look like for the next 3 years. This will be used by our benefits team to increase their budgeting accuracy as well as evaluate the firm’s suite of benefit packages and usefulness for staff. Q: If HR were 100% ready and the data were available, what would your boldest data science creations do? A: I’d say if HR were 99% ready and available. Since after all, we know HR data will never be 100% accurate ;-). Simply having HR data 99% available and accurate would be a dream come true. One of my boldest ideas would be to integrate people performance with financial performance. I would develop a way to predict what our end of year revenue and margins would look like based on staff engagement, staff behavior / performance, and compensation. Another grand idea would be to understand and capture natural human tendencies and behavior to determine which roles in our company would be the best fit based on their innate persona. Q: When do you think businesses will be ready for “black box” workforce predictive methods, such as Random Forests or Neural Networks? A: I think businesses are already hammering for this type of information and insights, and are less concerned with what specific method we deployed to arrive at these conclusions. Black box methods will give you a prediction that a certain event will happen. However, if you only provide businesses with this percentage, chances are your ability to effect change is equal to 1 minus the percentage corresponding to your highest probability scenario (which will most likely not be very high). People data is unique in that there is a level of human intuition involved in any analysis that comes out of people data. Thus, your ability to gain buy in and drive change will primarily depend on how successful you are in telling the story from the models through incorporating that “human element” and translating them into actionable insights. Q: Do you have suggestions for data scientists trying to explain the complexity of their work, to those solving workforce challenges? A: I would say all workforce-related data science projects should always be done in partnership with a HR Business Partner, or an expert that understands the business. This will help the data scientist focus on what is the true workforce question they are trying to answer and what potential business impact this may have. If they would like to explain the intricacies of their actual roles and how they perform the analysis, I would recommend for them to use the analogy of creating a brand new flavor of cupcake. If we imagine solving a workforce challenge as creating a new flavor of cupcake, and the ingredient testers are the HRBPs and the final assemblers are data scientists, then in order to bake a delicious cupcake, the HRBPs / ingredient testers will need to set up groups of willing taste testers to try each combination of ingredients. At the same time, the data scientist / final assemblers will carefully document their behaviors and preferences. After all testing is done, the data scientist / final assembler will look at all of the data and will be able to discern which combination of flavors will result in the “next best thing” of cupcakes. Q: What is one specific way in which predictive analytics actively is driving decisions? A: It helps leaders and HRBPs prioritize workload and engagement with individual staff. Q: How does business culture, including HR, need to evolve to accept the full promise of predictive workforce? A: HR needs to be educated on the benefits of predictive work and how it can help them be more strategic in their investments and save the business and themselves money, time, and resources. This in turn will accelerate the willingness and quick embrace of predictive work. Q: Do you have specific business results you can report? A: Ask me again this time next year. Don’t miss Kevin’s conference presentation, Changing Talent Management through Predictive Analytics, at PAW Workforce, on Wednesday, May 17, 2017, from 11:30 am to 12:15 pm. Click here to register for attendance. Use Code PATIMES for 15% off current prices (excludes workshops).